For supreme charm this hall table epitomises prestige and elegance and is the ideal place to showcase your photographs and store your essentials. It is a marvellous addition to the Lambourne furniture series. 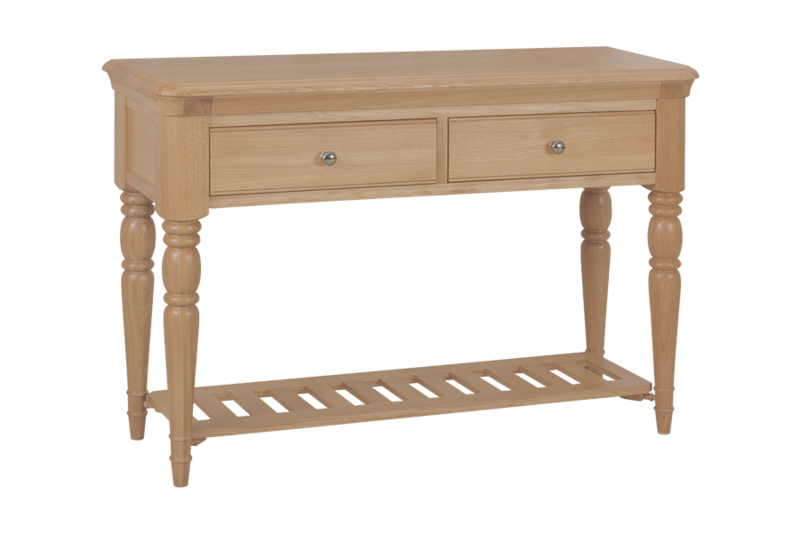 The hall table also provides storage space while making a focal point in your hall. Made out of European Oak, which boasts a beautiful grainy texture. Complete with two spacious drawers trimmed with smart hardware and a useful shelf at the base, it also has sculpted legs and gently shaped edges. Designed to last for many years it’s a timeless classic full of character. For other pieces in the Lambourne collection choose from dining tables, dining chairs, coffee tables, book case and other items, all designed to create the perfect look.